Headboards can be creative, as this feature shows. 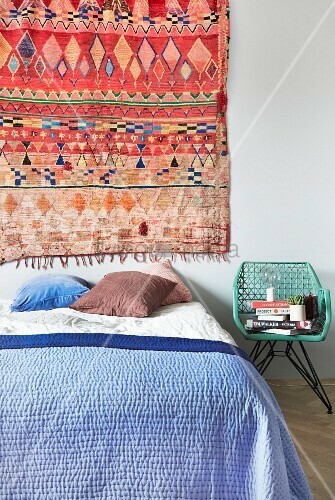 Use pillows, quilts, a beautiful hand made rug or a rattan screen to make the head of the bed into a comfortable and creative eye catcher. This feature contains seven different ideas that can turn any bedroom into a place of revelation and repose.